The Sunset Lands are suffering. Political discontent seethes, as the collectivist revolution which promised liberty and freedom from the old autocracy has instead devolved in a brutal, totalitarian dictatorship. The once-verdant farmlands of the east have been devastated by drought, whilst to the west the market towns which thrived on trade other lands have grown poor and destitute. Change is coming, as a wave of terrible hunger rolls in from the east and an ancient, powerful force returns to the world after aeons asleep. Seraphina's Lament is the debut novel by Sarah Chorn, a long-established SFF blogger (her website is Bookworm Blues), and also the first novel in a series entitled The Bloodlands. The book features some traditional fantasy tropes, such as "Chosen Ones" who gain great powers, but is also rooted in real historical events, in this case the horrific famine known as the Holodomor which wracked Ukraine from 1932 to 1933, killing at least three million people. Seraphina's Lament is the story of a group of special people: Seraphina herself, who gains unusual powers related to warmth and fire; her brother Neryan, who likewise gains powers related to water; the (slightly) Stalin-esque Premier Eyad; the rebel leader Vadden; a young woman named Mouse; and a mysterious man from the far east, Taub, whose hunger from the famine eventually results in a startling and horrifying transformation. This is the first way that the book embraces a standard fantasy trope - a group of people gaining special powers - and then inverts it, with some of that group going insane and others behaving in an evil or self manner. The motives of even Seraphina and Neryan, the most positive members of this group, are questionable at times. This is a modern dark fantasy, with stripped-back worldbuilding, a rattling pace (the book is a restrained 300 pages long) and a strong focus on a small core group of protagonists rather than sprawling across a huge cast. It kept reminding me of Mark Lawrence's Prince of Thorns, with its dark tone, tight focus and sparse, effective prose that occasionally erupts in moments of haunting eloquence. The difference is that Seraphina's Lament feels both more fantastical, with its depiction of humans becoming something other than human (in what feels occasionally like a much darker take on Steven Erikson's notion of Ascendancy, from his Malazan series) and also more grounded, with its Ukrainian historical inspiration being worn firmly on its sleeve. The book winds through the rotating POV cast, depicting the world crashing around our protagonists and antagonists (whose lines blur on occasion), until it reaches a revelatory and messy ending which leaves things open for the forthcoming sequel, An Elegy for Hope. On the negative side of things, the stripped-back worldbuilding (with no map or lengthy appendix of made-up names, as fun as that can sometimes be) is welcome but at times it gets a little too sparse, with little sense of what other countries are out there, or even how big the Sunset Lands are supposed to be, or whether the famine is a worldwide or localised phenomenon. The tone is also unrelentingly grim, with nary a ray of sunshine or hope to be found in the novel. The book's brevity prevents the darkness - and it is real darkness, of both an oppressive society and psychological, rather than brutality for the sake of it - from becoming too overwhelming, but it would be nice to see a few signs that this was a world worth fighting for or saving. Those are relatively minor concerns. 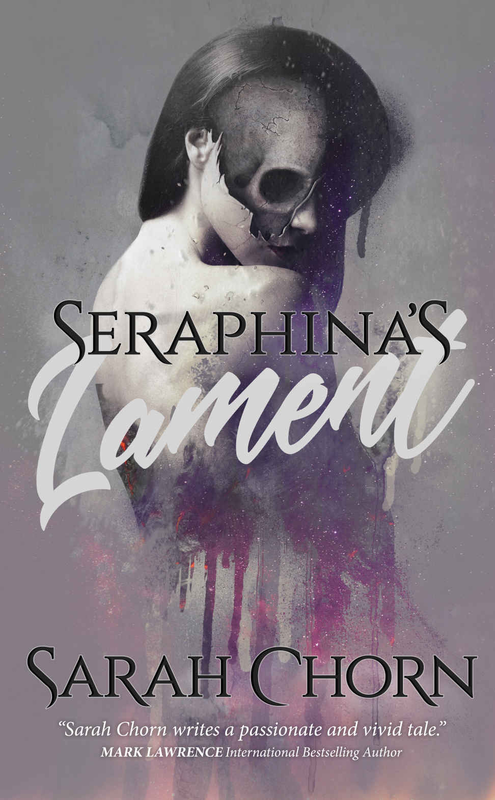 Seraphina's Lament (****) is an original, thought-provoking and unsettling novel that leaves the reader wanting more. It is available now in the UK and USA.